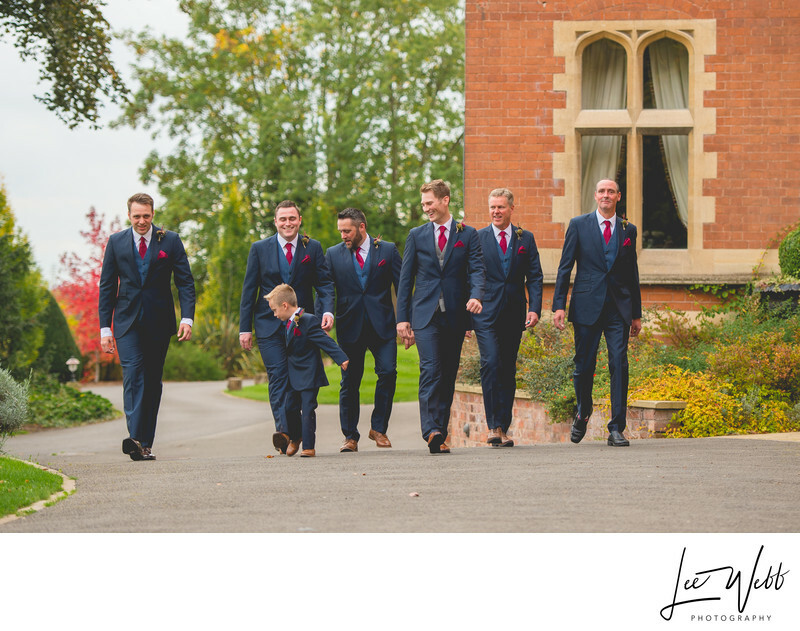 Heather and Craig hosted their wedding and reception in Worcestershire's Stanbrook Abbey in Callow End. I had spent the morning with Heather, and left my second wedding photographer, Aaron, to photograph Craig and the groomsmen. Aaron is a great photographer, and I've spent the last 4 years training him myself. He captured some amazing images during the morning of Craig and Heather's wedding which really complimented by collection of images. 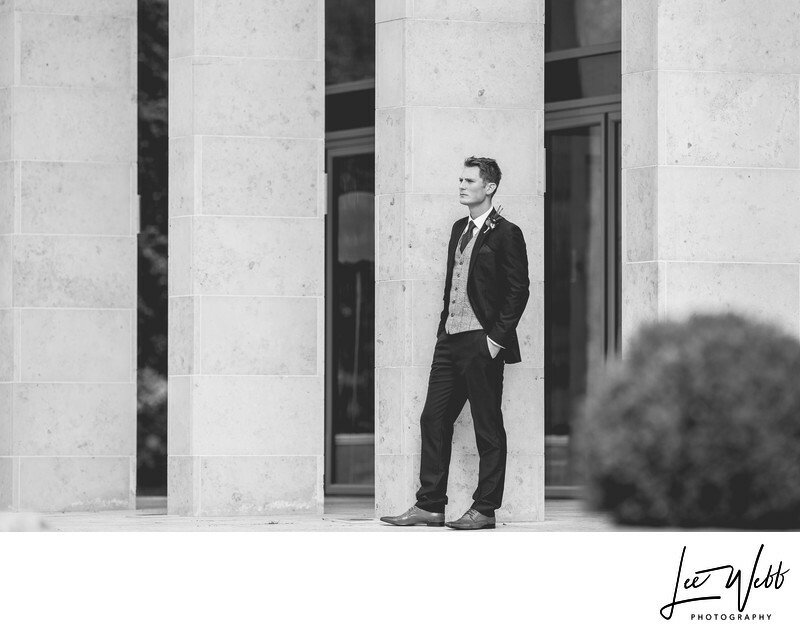 As I was photographing the bride, Aaron was photographing the groom. The really nice thing is that our cameras are synchronised, meaning when you review the images, you get to see what each other was doing at the same time. The morning had been a lot of fun, with everyone laughing and joking and generally enjoying themselves, so taking a photo so full of emotion was a real change, and certainly not a bad one. 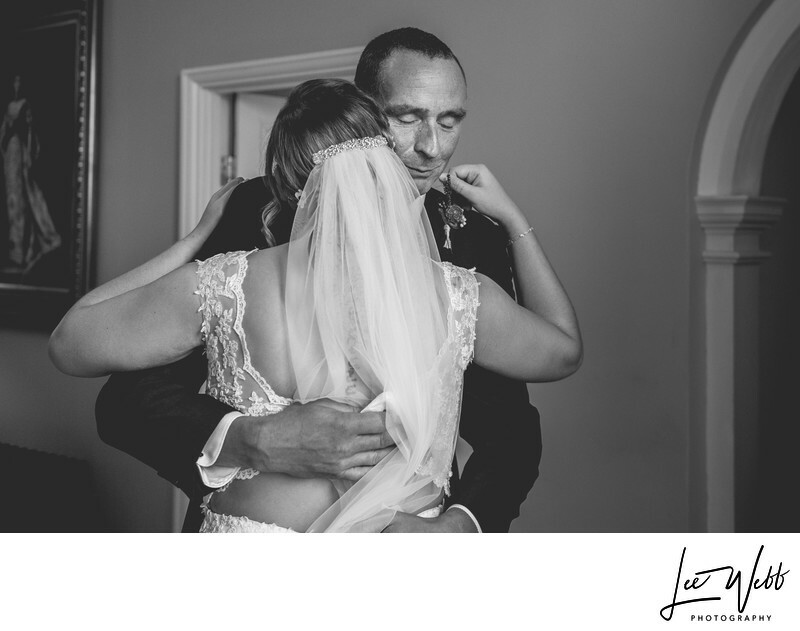 I really adore this photo, the expression on the father of the bride's face tells more of a story with one look than I could do with words, but then again, that's the absolute goal of documentary wedding photography. 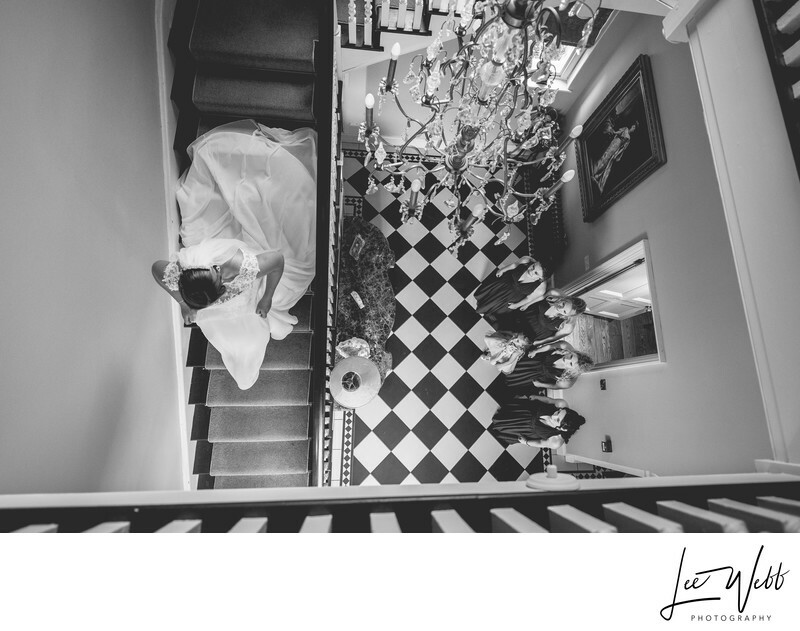 Heather had been getting into her wedding dress upstairs, in the bridal suite of Stanbrook Abbey's Brides Manor. She had already made her grand appearance with her bridesmaids watching. This was a wonderful moment as the bridesmaids hadn't seen heather in her wedding dress before. Now downstairs, Heather was in a standing in the middle of the hall way when her dad walked in to see her, through the door you see the bridesmaids standing in front of in the above image. He had this incredible look on this way, a combination of shock, happiness and pride. Speechless, he opened his arms and gave his daughter a massive hug. The two of them stayed there for a minute to two before they made their way to the Callow Hall for the wedding. I really love photos like this that show true emotions. For the father of the bride, seeing his daughter for the first time in her wedding dress is a once in a lifetime thing, and a I am so happy that they have this wonderful moment on film.